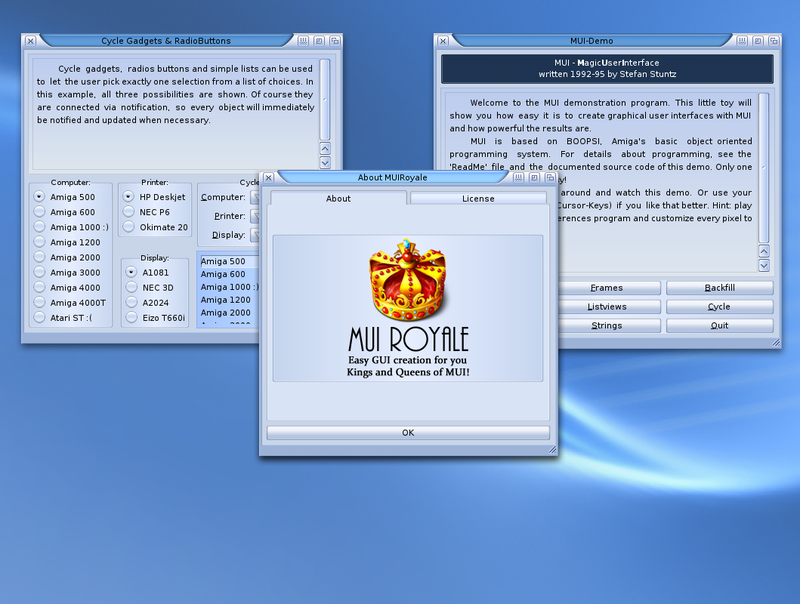 Airsoft Softwair is proud to announce the immediate availability of MUI Royale 1.1. This update contains some minor fixes and new features. MUI Royale is a plugin for Hollywood that finally allows you to easily create MUI GUIs with Hollywood. MUI Royale supports over 40 MUI classes including popular third-party classes like TextEditor.mcc and TheBar.mcc. Creating and managing menustrips is also fully supported. 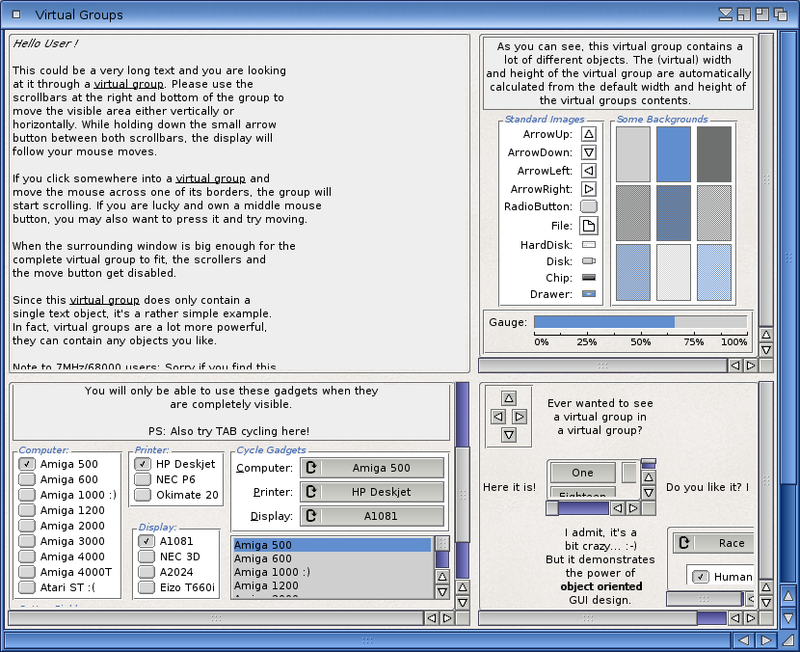 The plugin sets new standards concerning the ease of use because the GUI layout can be conveniently defined using an XML file that is converted into a MUI GUI by MUI Royale on the fly. GUI design has never been so easy! Of course, new features of MUI 4.0 are also supported. The highlight of MUI Royale, however, is certainly its inbuilt Hollywood MUI class. This class allows dynamic embedding of complete Hollywood displays into MUI GUIs which can be used to combine the best of both worlds - MUI's proven GUI skills and Hollywood's unequalled multimedia capabilities - into one powerful application, limited by the scope of your creativity only. MUI Royale requires at least Hollywood 5.2 and is provided free of charge for all users of Hollywood. It is available for AmigaOS 3 (m68k), AmigaOS 4 (PPC), MorphOS (PPC), and AROS (i386). 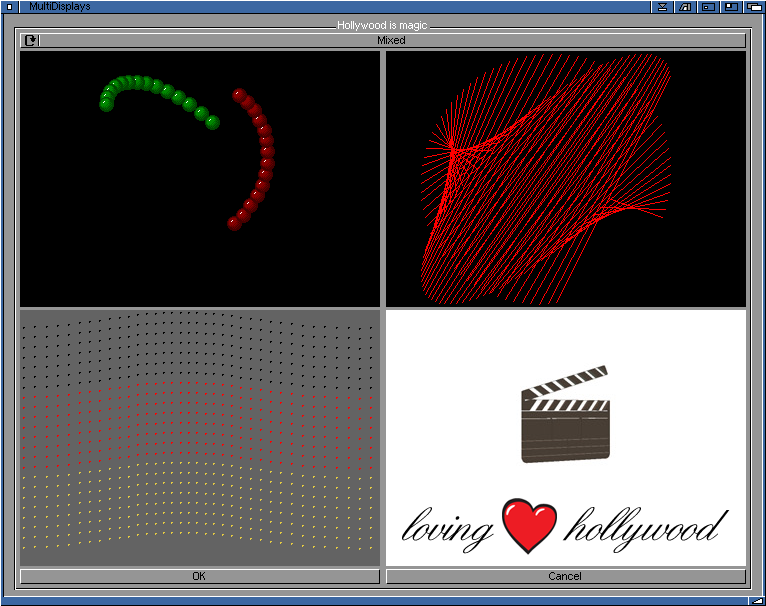 The package comes with almost 20 example scripts, many of which are direct ports from the MUI 3.8 SDK by Stefan Stuntz, but there are also original developments like demonstrations of how to create a video player using the combined power of Hollywood and MUI. On top of that MUI Royale comes with extensive documentation as a 280 page PDF file which is also available in the HTML, AmigaGuide, and CHM formats thanks to the Hollywood documentation system. Great! Fantastic! Power in our hands! Thanks Andrea...You are an Amiga hero!